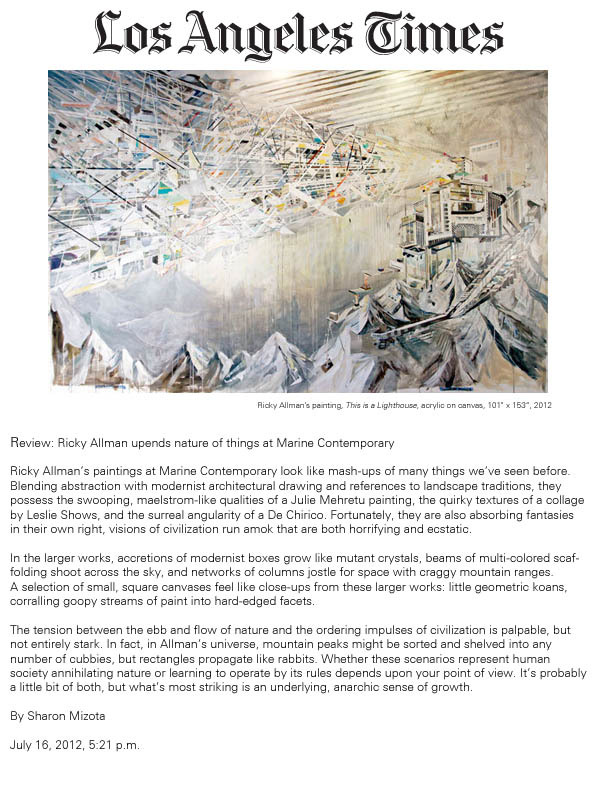 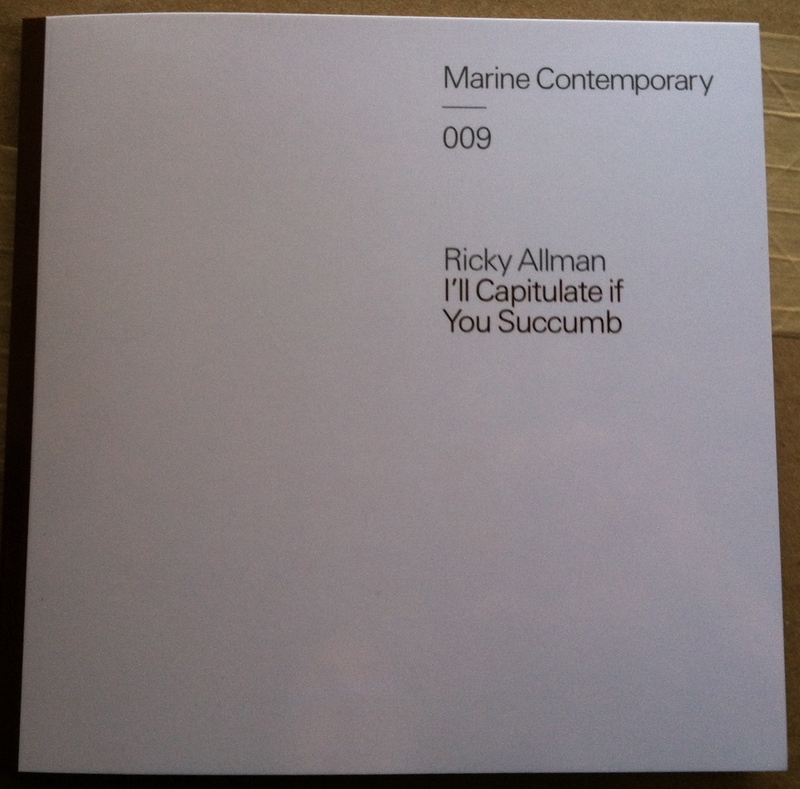 I was privileged to be acknowledged in Marine Contemporary‘s catalog for Ricky Allman’s recent exhibition. 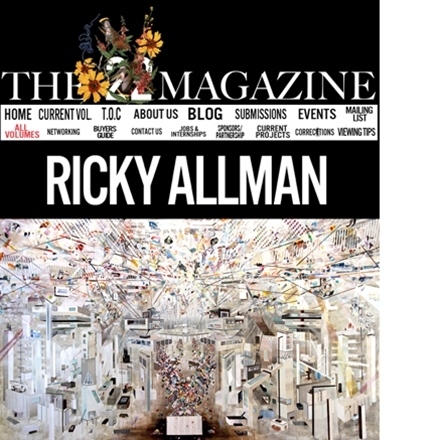 The show–(with a terrific title)–“I’ll Capitulate if you Succumb,” was Allman’s first solo exhibition with the gallery and ran from June 30-August 11, 2012. 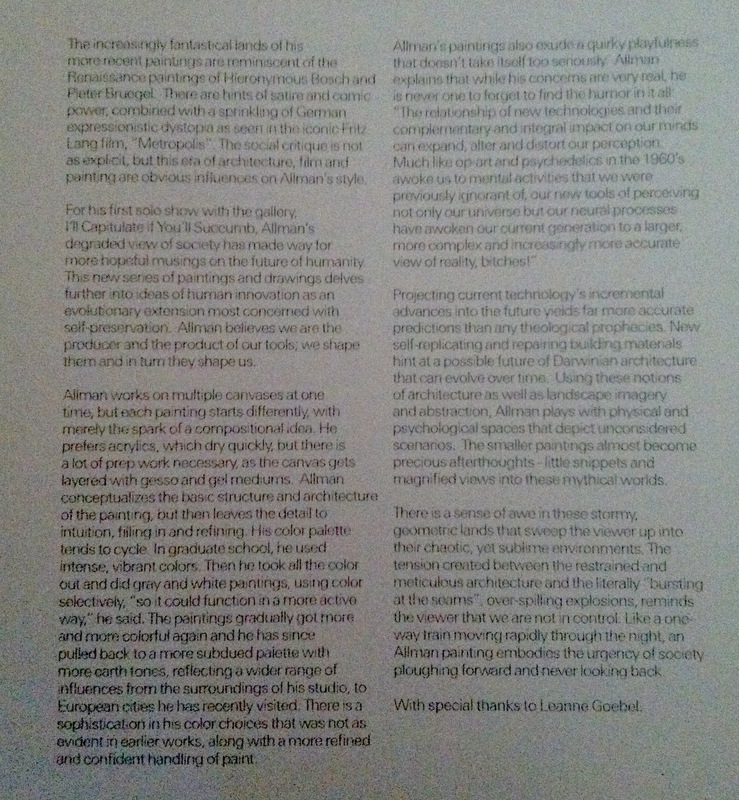 The 40-page catalog features an essay by Claressinka Anderson with special thanks to Leanne Goebel for previous writing I did about Allman.